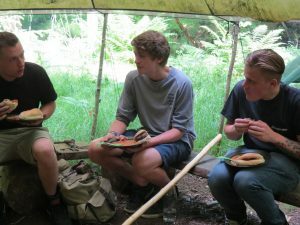 Countrylore Bushcraft was ‘set up’ in 2007 by Mark and Lucy Hotson to ‘Reconnect’ school children with their natural surroundings. Over the past nine years they have worked with various groups / associations / schools / companies / teaching both Adults and Children the joys of ‘Countrylore’. Their journey in to Bushcraft was started by an act of generosity and the inspirational teachings of Woodlore ( R.Mears’ Bushcraft School ). This site and Countrylore’s work are a recognition of the outstanding contribution Ray Mears and his team (past and present) have made in helping many hundreds, if not thousands of people, to reconnect with their natural environment. 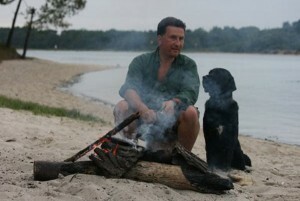 The legendary wilderness living instructor Mors Kochanski , from Canada , is another very notable contributor to the world of bushcraft throughout America and Europe. Having visited and studied with Mors in 2005, Mark can verify that he is ‘The father of modern day Bushcraft’ being both a passionate and superb ‘teacher’ of a subject he has made his life’s work. The gift of understanding true Wilderness Living Skills/Bushcraft, as time will tell, has an absolute and immense value. Lucy and Mark, the founders, both come from rural backgrounds with a real love for the British Countryside. 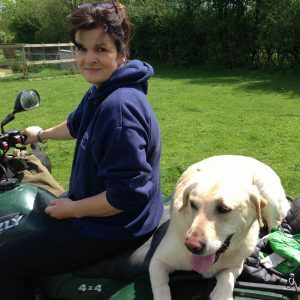 Lucy’s father was a prominent vet in the Frome area (Somerset) and her mother a physiotherapist and true matriarch. Lucy has spent most of her time growing up ‘outdoors’. Having assisted both her parents, she has collected a multitude of ‘Country Skills’. Whilst in further education at Oxford she met Mark, where they then married. Moving back to Wiltshire the two set up A World Of Furniture. Over the past 23 years the business has expanded to four stores and now employs 35 staff. At home in the Somerset countryside, Lucy’s time is divided between helping to administer the business, bring up three daughters and countless pets. Always an inspiration, Lucy is Mark’s real ‘Engine Room’! Mark’s earliest experiences of ‘The Countryside’ and all it had to offer sprung from his home near Shotover Park in Oxfordshire he then carried it forward and even at School in Cheltenham enjoyed various “Outdoor pursuits”. 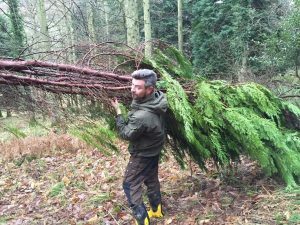 Like many of his generation being outdoors involved ‘Camping out’, building tree houses, riding horses and generally ‘messing about’… Mark’s journey in to Bushcraft ‘proper’ started in 2003 when Lucy won a trip to The Arctic with Ray Mears and gave it to him!!! The trip or experience was absolutely life changing, another world unfolded in front of him. There was a sudden realisation that the natural world had so much to offer and deserved so much more respect . Over the eight years that followed he attended various courses at Ray Mears’ Bushcraft School, Woodlore, under the tutelage of Paul Kirtley, Yuha Rankinen, Lawrence Clark, Gordon Hillman, Steve Suggett, Woody, Ross Bowyer and a few notable others. During that time he also travelled to Canada to study under Mors Kochanski. 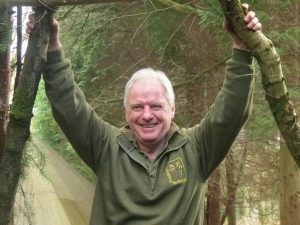 His wilderness living journey led him in to ‘teaching’ and imparting Bushcraft experiences to others from the couples lovely woodland setting in Somerset. Lucy and Mark are very proud to be considered as ‘consummate enthusiasts’ rather than ‘out and out professionals’. The realisation of the subject’s magnitude really leaves , even the self professed experts as life long students. They hope that they can at least ‘pass’ on some of their knowledge, enthusiasm and zest! Countrylore Bushcraft is a mix of Lucy’s enthusiasm, organisation, country skill sets and knowledge of the National Curriculum together with Mark’s understanding of wilderness living and ‘man management’ . Making them an ‘inspiring’ team. To comply with health and safety and Insurance guidelines. Both have been CRB checked, have completed outdoor first aid courses, have food hygiene certificates and carry out rigorous health and safety assessments. They look forward to working with a whole variety schools including Springmead School and Bruton School for Girls throughout 2016. 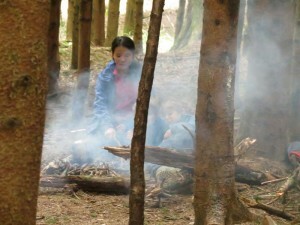 Inspiring and reconnecting the children with nature and their surroundings through the medium of Bushcraft Lucy and Mark have put together a very comprehensive ‘Learning Package’- which they started in 2009. The ‘Syllabus’ of Bushcraft learning is itself made so relevant by The National Curriculum and likewise The National Curriculum has another dimension added to it when Bushcraft is taught alongside it.They hope that schools like Springmead will now be able to offer the whole ‘education package’ to their pupils, whether in the classroom, on the sports field or in the wilds of Wiltshire and Somerset. A complete learning experience! Mark and Lucy are also very happy to welcome John and Tim to the Countrylore team. John brings a wealth of experience from a life spent in the outdoors in his native Northern Ireland , South Africa and his home in the beautiful Wiltshire countryside. Tim has an abundant amount of endless energy and time spent in the outdoors with him is an absolute treat. ‘Their Mission’ is to help make people think differently. More people need to start understanding the real wealth of the outside world. Over the past decade there has been a growth in a movement of learning popularly known as ‘Bushcraft’. The UK alone is full of opportunities to further ones understanding of the subject. They hope to be an active part in that. Whether Schools / Organisations or individuals they are here to inspire.